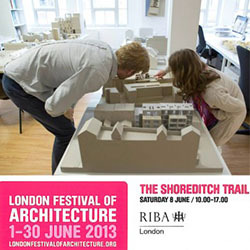 pH+ opened our doors to the public, taking part in the RIBA’s Shoreditch Open Studio’s event (in conjunction with the London Festival of Architecture 2013). Thank you to all who took the time to visit our studio. We had more than 120 visitors drop in on the day and really enjoyed meeting you all, discussing the practices work and our relationship with the local area.